The Cincinnati Reds lost 6-3 on Monday afternoon against the Colorado Rockies. Scott Schebler, however, continued his torrid spring. You can see the entire box score for the game right here. As noted above, Scott Schebler continued to just rake. 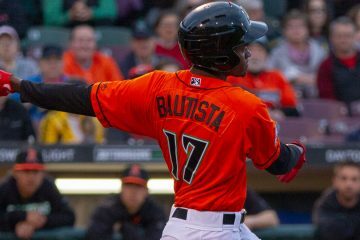 Getting the start in center, he went 2-4 with a solo home run, a stolen base, and he scored two runs. He’s now hitting .429 on the spring with an OPS of 1.368. 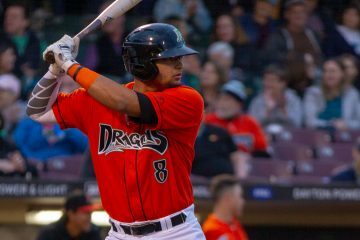 Jose Iglesias also went 2-4 and he had two runs batted in. Phillip Ervin went 2-4 and added a double as he, like Schebler, continues to rake this spring with an OPS of 1.300. Connor Joe also added two hits. On the mound only Wandy Peralta had a clean outing. Tyler Mahle allowed four earned runs in 4.0 innings. 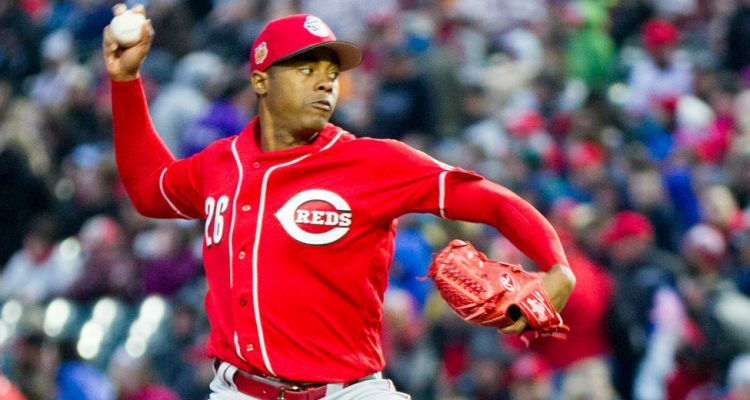 Raisel Iglesias allowed a run in 2.0 innings, including a home run. David Hernandez allowed a run in his 1.0 inning of work. Peralta struck out two batters in his shutout frame. Blake Trahan went 1-1 with a run scored. Here are the scheduled pitchers for the Cincinnati Reds on Tuesday: Lucas Sims, Zach Duke, Sal Romano, Cody Reed, Matt Bowman, and Robert Stephenson. There will be some notes from the minor league side of camp later. If you support the site on Patreon, check your inbox for a more detailed version of what will be coming. Schebler is having a great spring. He has 10 BBs and only 4 Ks, and has a .606 OBP. I have long thought that he is vastly underrated by most Reds fans. He is strong as an ox, runs fast, and hits the ball extremely hard. Once he learns to use the whole field (and his homer yesterday was to left), he will be a force. His stats would be a lot better over the past two years, if he would (1) quit crashing into walls, and (2) stop trying to play through the resultant injuries. Having said that, I’d rather have Senzel’s stream of future income than Schebler’s, which is not to be taken as a knock on Schebler. 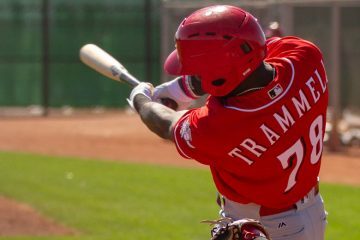 The Reds may be going from one of the worst OFs in MLB last year, with Hamilton and two corner outfielders with bad shoulders, to one of the best and deepest outfielders. There is a good story up on MLB about Ervin, who’s worked hard with Turner Ward to find some power and is busting it hard defensively on the back fields. Matt Kemp, an absolute horse in his day who has hit well this spring, is looking like the 6th best outfielder on the team. I calculate that Jesse Winker’s BABIP this spring is .125, which would explain his traditional numbers being down. Scheeler deserves to be in the Opening Day starting lineup. Winker, Schebler and Puig would be my starting OF. It feels like Ervin and Schebler are going to be the easy reason the Reds use to send Senzel down for service time. The minor injuries aren’t helping Nick’s case either. 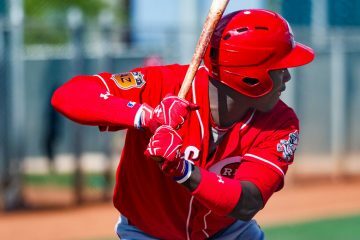 Schebler has a great spring, Wes hardest hit. Seriously though, even if the Reds don’t find a way to retain Puig, and Kemp is traded or simply moves on, the OF will be way down the list of concerns heading into 2020. Winker, Schebler and Ervin will be a nice core. It’s probably not likely, but who knows, maybe Senzel stands out so much in CF that the Reds decide to keep him there for a while. Nope. He goes to 2nd base next year. You cannot play Puig, Kemp, Schebler, Ervin or Winker in the dirt except at 1st base. Well that’s your opinion, and I do agree that that’s probably what’s going to happen, but you know what they say about the best laid plans. Admittedly, I don’t know dive too deep into defensive metrics and things like WAR, but I would have to think that a CF who can hit like everyone expects Senzel to hit has to be a good bit more valuable than a 2B who can hit like that. At any rate, I’ll be very interested to watch how Senzel handles CF this season and how that affects the planning going forward for the Reds. 2B and CF have the same positional adjustment according to WAR. Unless scooter regresses drastically at the plate he will most likely stay in cincy since there is no market what so ever for him. He will prob be cheaper next season than this one. Gio Gonzales is way more valuable than him and is gonna play for like 3 mil and sign a minor league contract. Regardless of that, if senzel can play good D in center he will stay there. If he can’t- it may force scooter out of town but if he can- he will play there til he can’t play there anymore. His hitting plays way up for a center fielder with decent defense. As far as Schebler is concerned. I hope I’m wrong about him but if u step away from the emotion as a fan and take a 100 steps back- there’s been 10,000 could have beens in ML history that had the tangibles yet never panned out. I’m playing the odds with Schebler. He’s also performed at high levels in short stents in the past and that’s why people here love him. Indians could have just had him for a fringe top 10 organizational prospect yet chose to go w cargo instead for 6x the salary and rightfully so- go with the proven product. Wes, so you’re saying that the Reds offered Schebler to the Indians for a fringe top-10 prospect and the Indians said no?? Is that what I just read? I mean, I’m a pretty avid consumer of Reds news and if that happened, I totally missed it. Through his first 1300 big league AB’s, Schebler has been an above leave average OF with some speed, ability to play all 3 OF positions and has a 30-HR season on his resume. He’ll also make less than $1 million this year. I guess I’ll just respectfully disagree that there’s no value in that. No. What I’m saying is unproven 28 year olds have absolutely no trade value what so ever and Indians prefer a proven commodity vs someone like that. I prefer cargo and Gio Gonzales and Iglesias and detritch all to Schebler and they all are signing miner league deals. You can google mlb trade history and guys like schebler never get traded ever. It is what it is. Only on this website does Schebler have value. Over 90 percent of average baseball fans have never heard of him and he’s 28. Again, hope he proves me wrong. But guys like him are almost certain to disappear than to be an all star. I really think the best move to help the team would be to move Gennett and but Senzel at second. When you consider the offensive strength of the team it is left-handed hitting (Votto, Schebler, Winker, Gennett, Barnhart) adding a solid right-handed bat and baserunning, Senzel, with the added bonus of his defensive upgrade over Gennett would really balance the line-up out offensively and defensively, plus they could save some money. They have to be able to get a Class A pitcher and outfielder for him. Not sure you can get anything for Scooter or Kemp, the 2 most logical to trade due to surplus at their position and cost. David Bell gets to earn his biscuits year one keeping this all together baring trade. That is a manager of the year task. Given that we have hired 2 of the best in pitching and hitting coaches, wouldn’t it be fun if we also had a home run hire manager performance. You have just explained how scooter came to us on waivers Wes. We have a bunch of top talent coming thru the pipeline in 2020. There is no way that Scooter is resigned for a bench spot. Schebler is a much better CF than Scooter is as a 2nd baseman. So you upgrade your 2nd base defense at not cost and improve you team in 2020. That is even before you factor Friedl, Trammell or possibly Siri who all can play CF but are not infielders. Leave great glove infielders where the have the most value. Schebler and scooter are the same age and scooters career stats destroy Scheblers. Did u look at history of trades ? U speak your opinion. I’m speaking on how it is. Again, I hope I’m wrong on Schebler but history is on my side and teams act accordingly in that way. To think different u are a fan of a player. One very important difference between Gennett & Schebler is about $9.3 MM salary difference this year. Then the Reds have 3 more years of Schebler at arbitration prices, in his years 29-31. Gennett would probably cost about $30MM over those 3 years. So the Reds will save big bucks moving Senzel to 2nd & playing Schebler in cf next year. If they find a better cf, they only need to non-tender Schebler & he goes away. As for trade value, there’s no need to trade him this year.